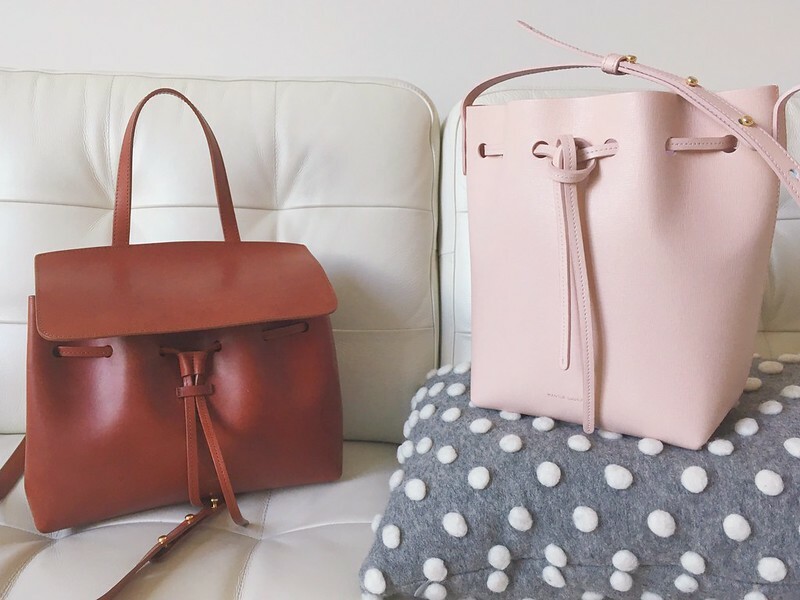 Mansur Gavriel, previously reviewed: saffiano bucket in black/flamma and mini lady bag in brandy/brick. I really wanted a smaller sized bucket for lighter days after using the regular sized one. My heart was set on saffiano given what a breeze it is to maintain. 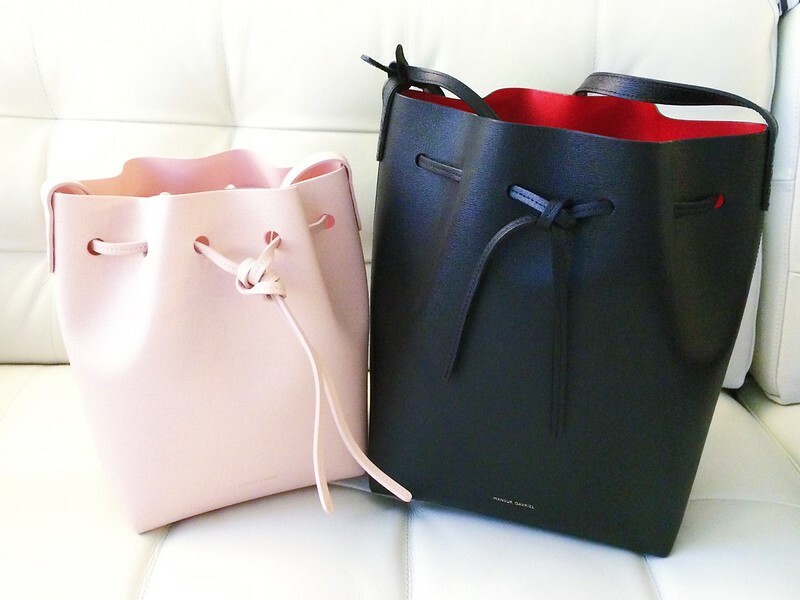 Currently, the mini bucket is only available in saffiano at Barneys in either black/flamma or rosa/rosa. I’m not really a pink person; I’m treating the rosa/rosa as a neutral (ballet pink). Inevitably I have some ‘on Wednesdays, we wear pink’ moments when I wear an item of clothing in the same color family. The rosa/rosa has gotten a lot of compliments. It’s a shrunken version of my larger bucket. It can fit quite a bit, but not that much. On most days I have it filled to the top, so I still have some cave moments. When you wear it crossbody, it slightly flattens against the body. I know some people don’t like this – I happen to like it. It’s a refreshing color for warm weather. It’s a lighter color than the black bucket, however, super easy to maintain. Cleaning is limited to rubbing/wiping with diaper wipes. Sometimes I see the dirt. Conclusion: This was a fun buy and rounds out my MG family (which I think is complete for the unforeseeable future). 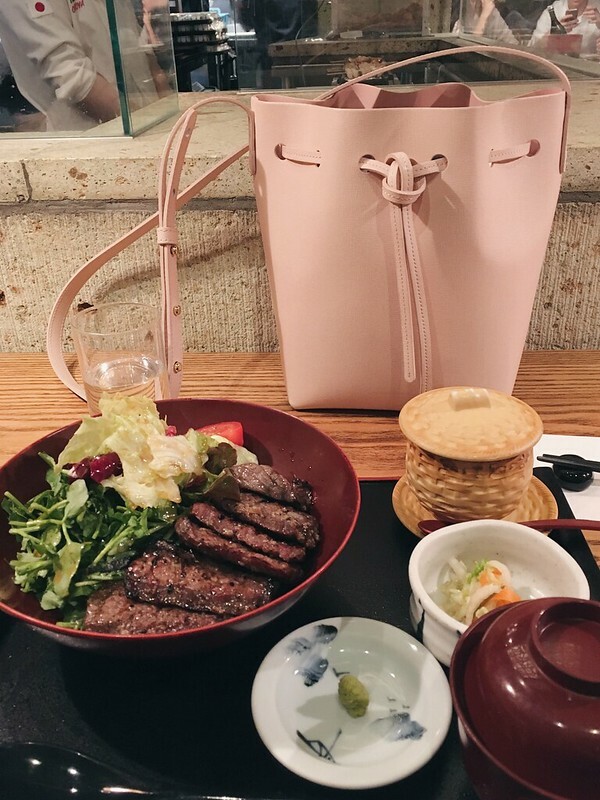 If you’re looking for this bag, be patient and check Barneys! It took over two months to ship despite what the website said and often popped in and out of stock. Saffiano mini bucket in black/flamma ($525). 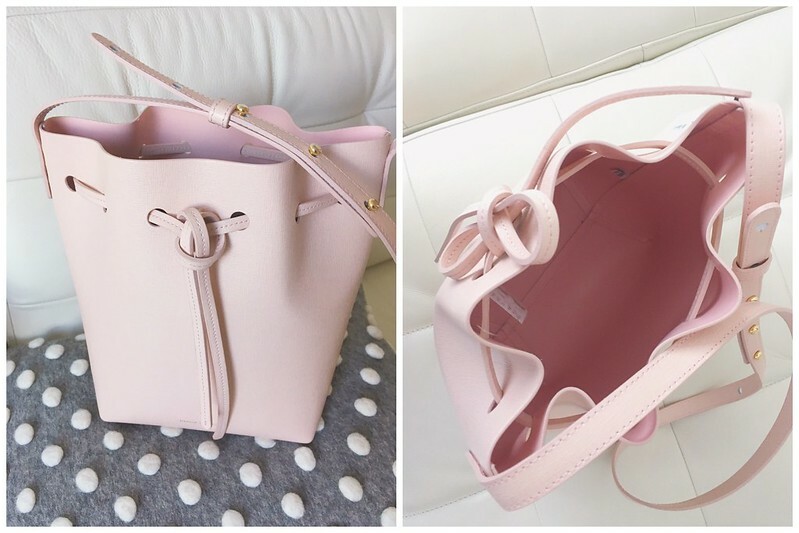 Saffiano mini bucket in rosa/rosa ($525). Check this post for other styles/colors.